The Reeds-Weybridge Rugby Football Club Seal of Approval accreditation programme forms an important part of Community Rugby’s drive towards supporting clubs to improve their provision of rugby for young people. In association with Sport England and the “Clubmark” scheme, the RFU aim is to set policies and standards of quality control that will produce quality clubs across the country. A copy of the Club’s Disciplinary Procedure can be presented on request. Rugby is a game of long traditions which have developed over time into a number of value that guide the way the game is played and how players, coaches, officials and supporters conduct themselves. At its core, rugby is a physical game and a fundamental value is one of respect – for opponents, teammates and officials. Rugby, for the vast majority, remains a sport played for enjoyment. As such, other core values we aspire to are firm and inclusive. You will find that values embedded in the codes of conduct and the terms and conditions below. Do not force an unwilling child to participate – it’s supposed to be for them, and you may put them off rugby forever. Teach your child that taking part and trying you best are more important than winning. Focus your child on practicing their skills, sportsmanship and being part of a team. Winning isn’t everything and not everyone can score the winning try. Support and encourage your child – never criticise them for making mistakes. Console them for losing, but encourage them to try harder next time. Set an example for sportsmanship – applaud good play by all. Never publicly criticise a referee or linesman – there is no place for “touchline rage” in rugby. Support all efforts to remove verbal and physical abuse from children’s sport. Support your coaches – they are giving up their time to train your child. IF you have any issues with the way a coach is performing, talk to them first. Refer any issues to an Officer of the Club. Don’t overload young players with demands, technical information and tactics – remember they are children and they are playing rugby for fun. Don’t overplay the better payers – include everyone. Players develop at different times and in different ways – make allowances for their physical, emotional and mental maturity and development. Winning isn’t everything – teach your players to enjoy taking part and performing to the best of their ability. Encourage each player to reach his or her potential. Be organised – establish a structure for the season, prepare a coaching plan for each session, have the appropriate kit. Above all, communicate to players, parents and fellow coaches to set expectations. Make sure the players develop an understanding of the rules and laws of the game, that they respect opponents, teammates, coaches and officials. Never question an official’s judgement or honesty. Ensure players and parents behaviour is appropriate and in keeping with the spirit of the game and expectations of the Club. Play to enjoy rugby – always try your best to improve your skills and play well. Never argue with referees or coaches – their decision is final, Even if you think that they are wrong). You never see a referee change their mind do you? ugby is a team game – do your best for your teammates and don’t try to grab all the glory for yourself. Don’t show off, lose your cool, pick on other players or generally misbehave – it’s not part of rugby. Respect good play – from opponents and you team. 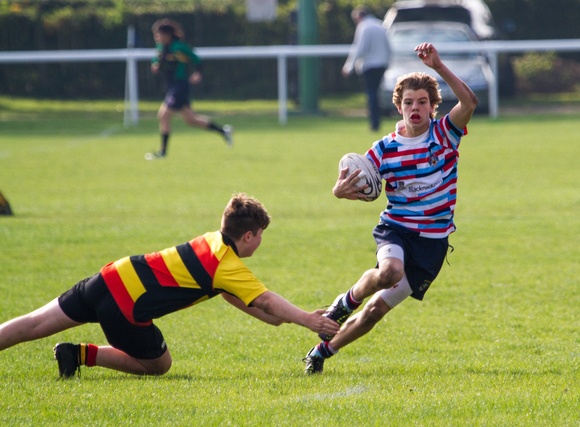 Help team mates, opponents, coaches and officials – you cant play rugby on your own.